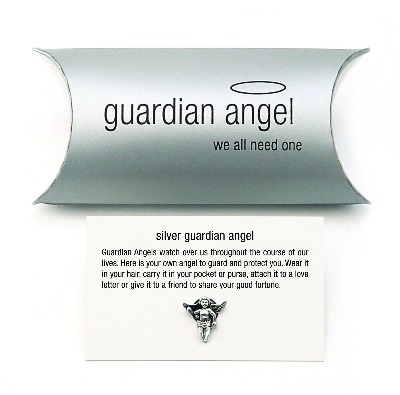 A keepsake sterling silver Guardian Angel pin. Your guardian angel watches over you throughout the course of your life. Wear this sterling silver angel as a reminder of your invisible companion and that you are never alone. This is a perfect keepsake gift for lots of occasions. For bridesmaids or groomsmen at your wedding or for sons or daughters when they head off to university. In fact it can be for any occasion where you want show someone you are thinking of them and care.